My daughter is using my ticket. She's been trying to find a place to park for the last 20 minutes. She couldn't get a spot. Loyola garage was full. I'm ok with Tulane having day games during semester for reasons noted but it should work with its customers. It could have set parking aside in Diboll/Rosen and bussed ticket holders to Devlin today. Not a great answer but better than playing musical cars by doing a holiday parking lot continuous drive around waiting for the next shopper to leave. Cornish looked frustrated to me the past few games, good to see him have a strong game. Sehic, if he stays out of foul trouble is as steady as they come. Still can't believe he's here, he could have gone anywhere he wanted to. As good a shooter as Dylan, as good (if not better) from the free throw line, better defensively, not the passer or assist guy that Dylan was. I sometimes wonder about the attitudes of Cornish and Frazier, as well as their relationship with each other. I think you're seeing too much. Team chemistry looks fine to me both last year when Cornish was a cheerleader and this year now that he is playing. Meanwhile Melvin clearly wears his emotions on his sleeve. Interestingly his mantra continues to be "I do what the coaches tell me." Implicitly they criticized him for playing as an individual against UNC and he was very much a team player today. Also he regularly now passes up potential contested dunks for sure layups by him or others. He is much more disciplined than say his frosh year under Conroy when it was always dunk or bust. TP simply rehashes Tulane PR to report on game. They won't even pay to send Halm to report in person on a game between two local teams. Why am I still amazed by these editorial decisions but I am. 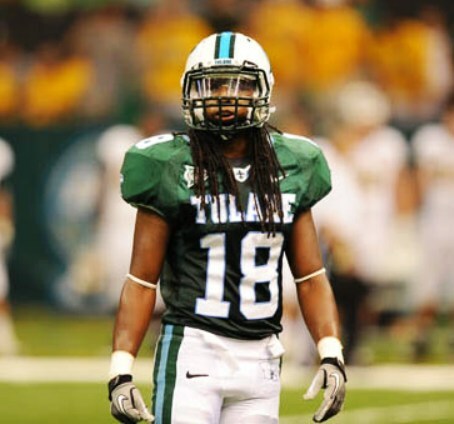 Ajang had his best game yet at Tulane even though he only played briefly. He hit a baseline jumper. Sorry to hear about the lack of parking at Loyola.it does make sense it’s busier during school hours. Baywave, you have a great proactive idea. Please pass it onto the AD. I went. It was fun. Team looks so much better than last year. I think talk of post season (not pay-to-play postseason) is still a little unrealistic. But a top-6 finish in the AAC certainly looks attainable. Will plan on going to the USA game also. I would hope baseball would follow the trend. I'm much more likely to attend a game on a sunny February/March weekday afternoon that a cold Wednesday night game. Some of you guys sound like you're chained to the oars. Does no one get an afternoon off anymore? Well the photographer wasn't. Caption from the picture with the story is "Tulane coach Mike Dunleavy reacts to a call during a game at Cincinnati on Jan. 1." Seriously, how lazy is that? The link above is to the Advocate article. Guerry Smith did cover it in person. Stock photo of Dunleavy is bizarre. NOLA/TP did not cover the game. Here is its story. At least the Tulane site included a picture of Cam shooting over an SU defender. Picayune passed on running that but they sure like the Tulane in-house writing word-for-word. As I said this amazes me.